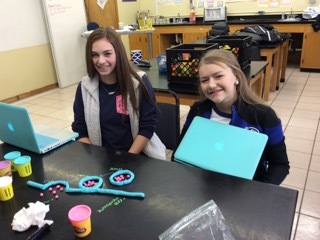 Honors Biology students created foldable, play-doh models and a web quest to assist them in learning the various types of transport of molecules across the cell membrane. 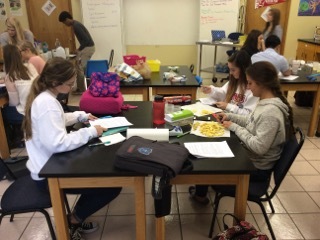 In the Osmosis and Diffusion Lab students used potato cores submersed in various sucrose solutions to determine the osmolarity and water potential. 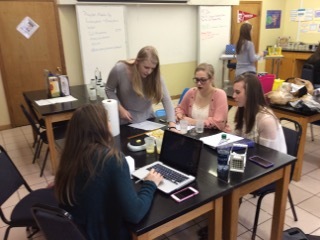 Student then measured if the potatoes absorbed water, secreted water, or had no change in mass. 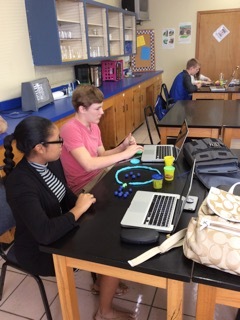 They graphed the collected data and used the graph to determine the point of equilibrium (isotonic solution). FCA decide to encourage hungry and hurting souls by donating 25 meals to the Nashville Rescue Mission. 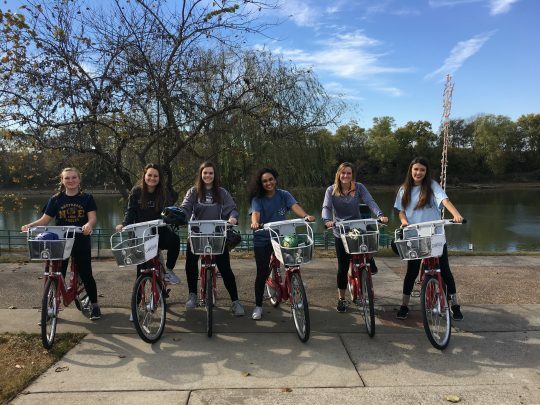 The girls fitness classes enjoyed the beautiful weather and the B-Cycles! 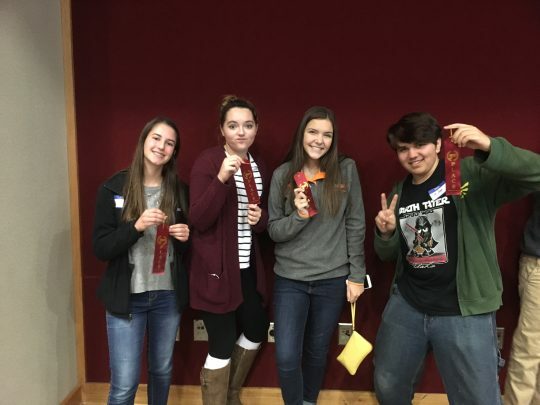 On November 16, our 3 Certamen (Latin Bowl) teams all placed today. 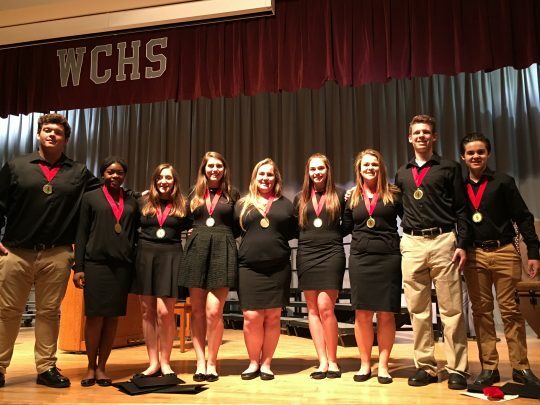 Eleven members of Clarksville Academy’s Concert Choir were selected in September to be part of the Montgomery County Honor Choir. 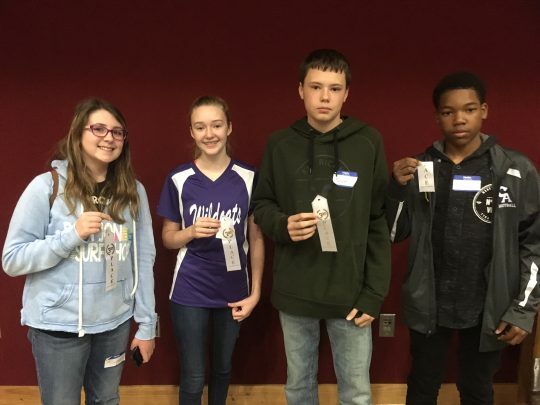 The weekend of November 18-19, the students joined with students from across the county and Ft. Campbell to work on choral music with the director of choirs at Western Kentucky State University. 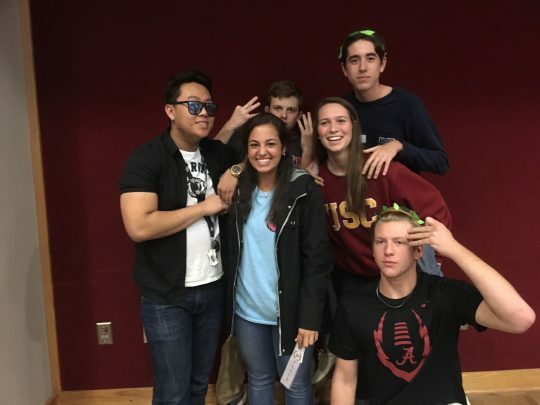 On Saturday, November 18 at the end of the day, they presented a concert of what they had learned to family and friends. 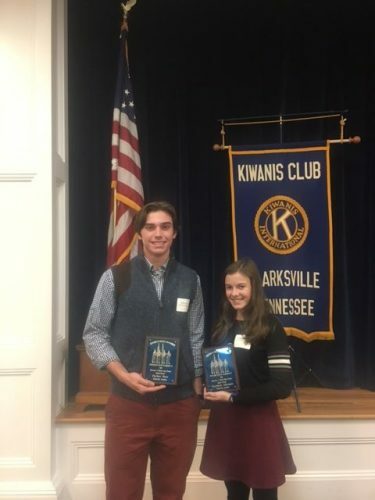 Congratulations to Ellyn Darke, Ellie Rocconi, Aleisha Whitaker, Shali Griffy, Annalise Martin, Grace Gilland, Michael Mullins, Riley Jenkins, and Colton Woodson on a job well done! 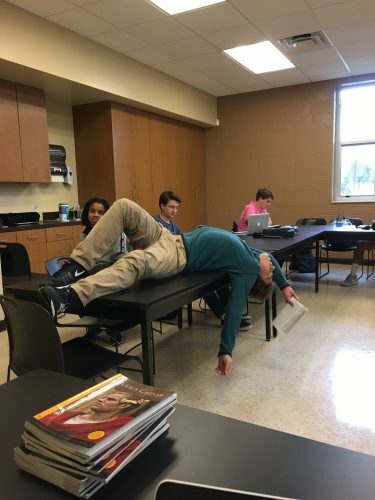 10th graders finished reading and writing on Shakespeare’s “Julius Caesar.” We had some terrific death scenes performed by students, like Nolan Johnson, below.